Abstract: It is a tradition for families to exchange gifts, go to parties, or go to a Christmas church service on Christmas. Our parents can have a novel entertainment way with Airwheel H3S, a motorized chair that will surly exert a tremendous fascination on parents. Christmas is a time for family and they will gather to eat, decorate the Christmas tree, play games and more importantly, exchange gifts. Some family members will also go to a Christmas church service. When going out on Christmas, Airwheel H3S motorized wheelchair will help parents travel around freely, safely and conveniently. 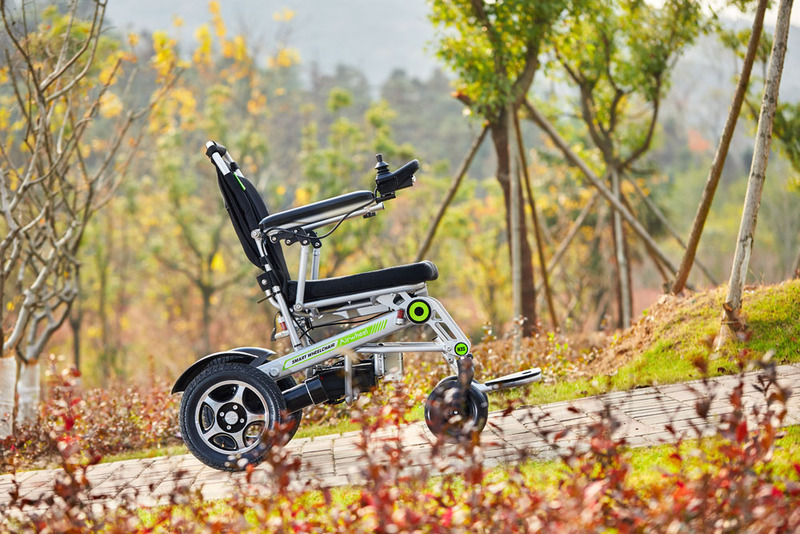 Airwheel H3S electric wheelchair brings unexpected comfort with two ways of riding—electric mode and manual mode. The electric mode gives riders an effortless ride and allows riders to stop and chat freely. Riders can enjoy the company of friends and families in the manual mode. Its quality lithium battery provides a long range. Moreover, the operable double armrests design accords with human body engineering. 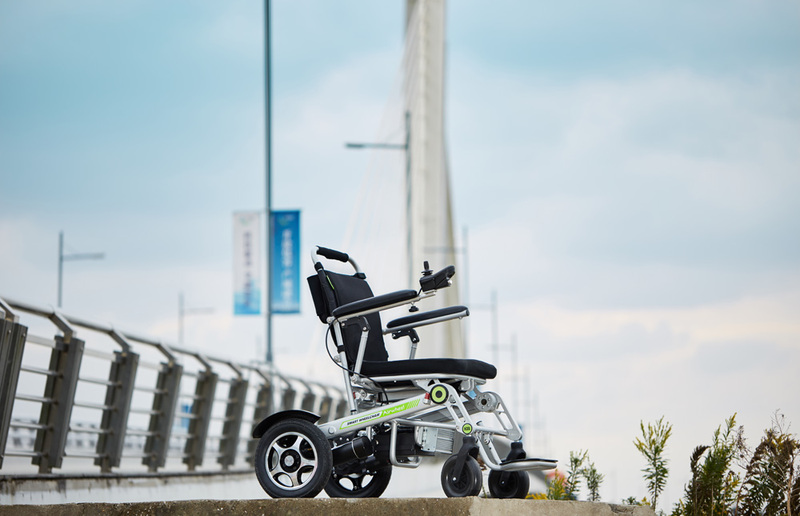 The retractable armrests make get on/off easy and safe. The pedals are also thoughtfully designed, comfortable and non-slip. Also, the pedals' three adjustable heights meet the needs of different users. The four wheels in unique design of exposed tyres make it have adaptability that is more extraordinary in outdoor environment. The outstanding performance, which can be turned 360 ° and the sensitivity is greatly increased. Hence, it can be used in indoors and outdoors. Wireless remote control is another shinning point of H3S. With the Airwheel mobile application, riders can control H3S smart chair in three different ways, keep track of how fast it goes, how far it has travelled, and much more. Also, there are optional accessories for H3S, high-capacity storage bag and high-end mini table. Riders can put the daily necessities into the back storage bag. It is convenient for riders to have a meal, read book or play mobile phones, etc. on the mini table. Christmas is for sharing. Share gift ideas, wish lists, Christmas recipes, Christmas traditions, Christmas games, photos. Actually, the whole family can ride Airwheel H3S folding power chair to enjoy an easy and novel transportation. Just enjoy the quality time with families on Christmas.